Designed and manufactured by Biasi, the Advance Plus 7 is a highly reliable condensing Combi boiler that’s compact in size and can be wall-mounted to help save space around your home. Biasi have designed the Advance Plus 7 with efficiency in mind, as shown by the 92% efficiency rating, which can help you to save money on your energy bills. An output rating of 25kW makes it the perfect boiler for smaller homes with 1 bathroom that don’t have such an excessive need for heating and hot water. Should your home need a unit more powerful than 25kW, then models with output ratings of 30kW and 35kW are also available. Plus, if a Combi can’t meet those higher hot water demands, then you can also decide to have a Regular or System boiler too. 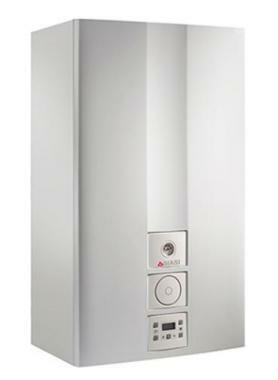 The Advance Plus 7 houses many features, including cutting edge quad processor technology, a safety lock should an issue with the gas supply be detected, simple-to-use controls, an optional and easy to use 24hr mechanical clock, built-in frost protection to stop the boiler from freezing during the winter and a built-in anti seizure routine that stops components from seizing up when not in use. The Advance Plus 7 is a Combi boiler, which means that it supplies hot water and heating on demand by using the mains water supply. Thanks to this, there’s no need for any external parts, such as bulky tanks or a hot water cylinder, making them the perfect choice for smaller homes where space is limited. Featuring a 7 year warranty, you can install this Biasi boiler with the confidence that you’ll be covered in the unlikely event of something going wrong.